NO CLUB MEMBERSHIP NEEDED - EVERYONE WELCOME! UNDER 18 NOW 1/2 PRICE £3. When Tony Lip (Viggo Mortensen), a bouncer from an Italian-American neighborhood in the Bronx, is hired to drive Dr Don Shirley (Mahershala Ali), a world-class Black pianist, on a concert tour from Manhattan to the Deep South, they must rely on “The Green Book” to guide them to the few establishments that were then safe for African-Americans. Confronted with racism, danger as well as unexpected humanity and humor—they are forced to set aside differences to survive and thrive on the journey of a lifetime. Doors open 7.00pm film starts at 7.30pm. NOW WITH OUR NEW SURROUND SOUND SYSTEM! go to "New Programme and Trailers" in Menu above for full list of Film Dates and Trailers. THANK YOU FOR YOUR FILM SUGGESTIONS AND OTHER COMMENTS PLEASE KEEP THEM COMING. PRESS THE BUTTON BELOW TO REVEAL THE MAP OF OUR CINEMA LOCATION. 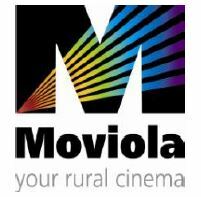 Our films are supplied via Moviola. Check out their website www.moviola.org for other venues and more information. Doors open 7.00pm, film starts at 7.30pm. Tea and coffee are free with your admission. The Hall is not licensed to sell alcohol but you are welcome to bring your own, also a cushion is very useful. If you would like to be added to our mailing list, have any questions or suggestions, let us know via the form below.